I feel as if I’ve been wearing skinny jeans and big sweaters and boots forever, but it’s still not warm enough for dresses. So how can I make the skinny jeans I’ve worn ALL WINTER exciting again? Make a tunic! This is the Cynthia Rowley pattern I’ve made before, this time using a cotton voile. It’s light and springy and has an exploded stars print–what more could one ask for in a tunic? I may even mix it up and wear it with BALLET FLATS, not boots. The excitement! 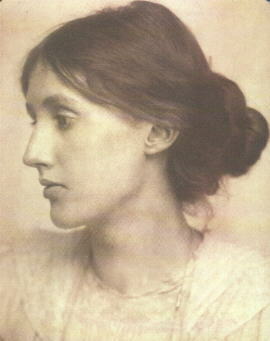 The Writer’s Almanac tells me that 70 years ago today, Virginia Woolf drowned herself in the River Ouse. In Mrs. Dalloway, shell-shocked Septimus hears birds sing at him in Greek, which I’ve read was her own experience during a depressive episode. I’m glad she was able to write what she did–and that we can treat mental illness a little bit better now. 1. My new fabric “art”–stretch a yard of Schumacher “Chiang Mai” linen over a frame your dad made, staple, and pow! Color! Let’s look at that fabric again, though. 1. It was cloudy here for the super perigee moon last Saturday, which kind of made me feel like the girl who misses the sun shining on Venus in that Bradbury story. But then I read that another full moon that will be almost as bright will happen on May 6 next year. I guess its full phase will be pretty close to perigee–not coinciding perfectly with it like the one that just happened–but it made me feel better. 2. Dr. Sagan would be ashamed of me, but I’m going to say it anyway: I think the “super moon” wreaked emotional havoc over the last week and a half. At least, that’s what I’m blaming. All he wants to do is play on the Ford Kitty Gym–and of course I can’t say no to him. Spoiled Toby! The way you describe finding love as opening a “low door in a wall” that opens to “an enclosed and enchanted garden” makes my heart happy. Today marks three years of Toby in my life! Here he was the first day he came home–so small and worried. As I said back in December, my brother and his wife are expecting a little boy in about a month. One of the baby showers has now passed so I can finally show you some BABY PROJECTS! 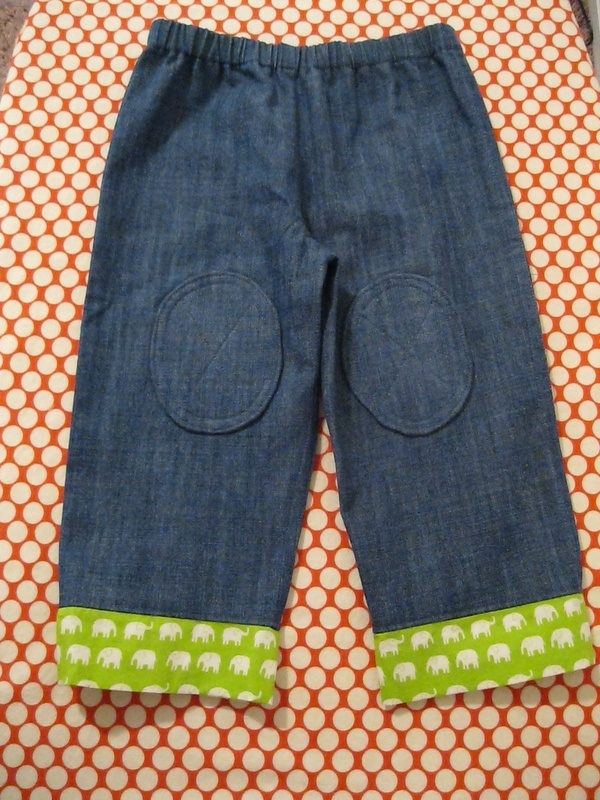 This is a little sweater with elephants on it (the green blobs), from this pattern. It turned out pretty big, so I think Nephew will be able to wear it his second winter. I finished both of these before I moved, but getting them wrapped for the shower got me excited again to sew tiny things. What should I do next? Doesn’t every baby need a Hawaiian shirt? He built an architecture of Bach, stone by exquisite stone, raising a music cathedral so vast that its farthest chancels were in Ninevah, its farthest dome at St. Peter’s left hand. The music stayed and did not crash in ruin when it was over, but partook of a series of white clouds and was carried away among other lands.